The Ring Brothers are staples of SEMA in large part to the many classic and restored Ford Mustangs they’ve shown over the past years. 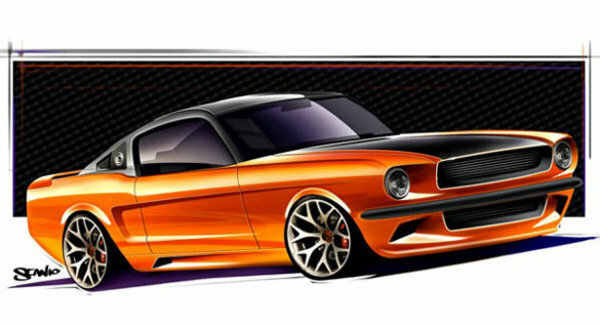 This year, the dynamic tuning company is back with a 1965 Ford Mustang Fastback called the "Producer". Dressed in a BASF Glasurit 90 Line Waterborne Paint BASF paint finish, the "Producer" was restyled with a number of Ring Brothers’ own accessories, including the hood pins, the door handles, and the taillight bezels. The classic Mustang comes with a full steel chassis with tubular A-arms working as front suspension and Watts-link suspension on the rear.